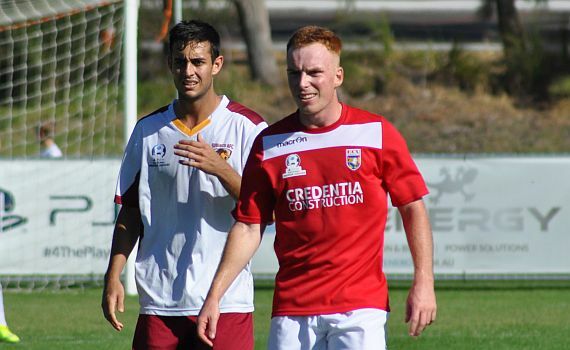 ECU Joondalup midfielder Henry Durr has left the club, and headed overseas for trials at clubs in the UK. The 21-year-old joined the club from Perth Glory at the start of the season, has been outstanding as the Jacks pressed for a finals spot this season. He’s been training with Macclesfield Town since Wednesday, and he also has trials pending with Partick Thistle and Motherwell in the Scottish Premier league and St Mirren in the Championship, everyone at the club wishes him all the best. McCulloch said it will give someone else the opportunity to impress and cement a spot in the side. “We have some talented young players at our club, and this will give someone the opportunity to show me they are ready to fill the role,” he said.